You only have to look back at the time line of my posts on this site to see just how little fishing I did last year. I really struggled for large parts of 2015 and I think it was down to spreading myself too thin and not allowing myself time to do the things I love. So, as the year drew to a close, I made a promise to myself that 2016 was going to be different. Having realised that I need to maximise my fishing time I made the decision to join the Hull and District Anglers’ Association, as many of their top waters are within about a 20 minute drive from home. With the wet weather causing all sorts of havoc, particularly to my shooting season, I found myself for most of January on the steep wooded banks of my North Yorkshire pheasant shoot as opposed to the banks of the HDAA lakes. It’s a nice problem to have I suppose and, as the shooting season closes at the end of January, it was a fair trade off. 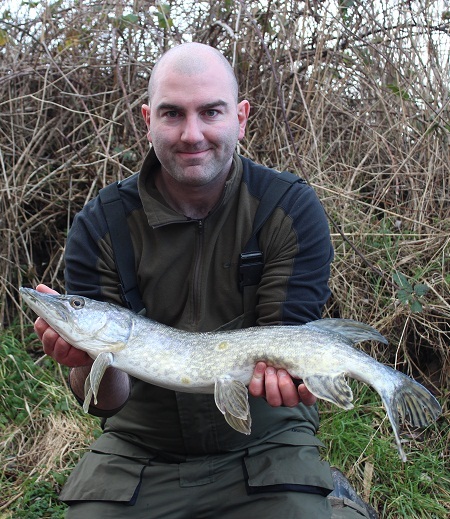 I did manage to get down a few weeks into the new year however for an exploratory pike fishing session on a local, but highly revered water. Having researched the water on Google Earth for many hours in the run up to this session I opted on my first choice of swim about an hour before first light. The plan was to fish as many swims as possible during this session, to try and quickly get to grips with the place and determine where the fish might be located. Armed with one dead bait rod fished under the float and my ultra-light dropshot rod, I flicked out a sardine just beyond the marginal shelf and set about searching the swim with my dropshot. It’s a great method for two reasons. 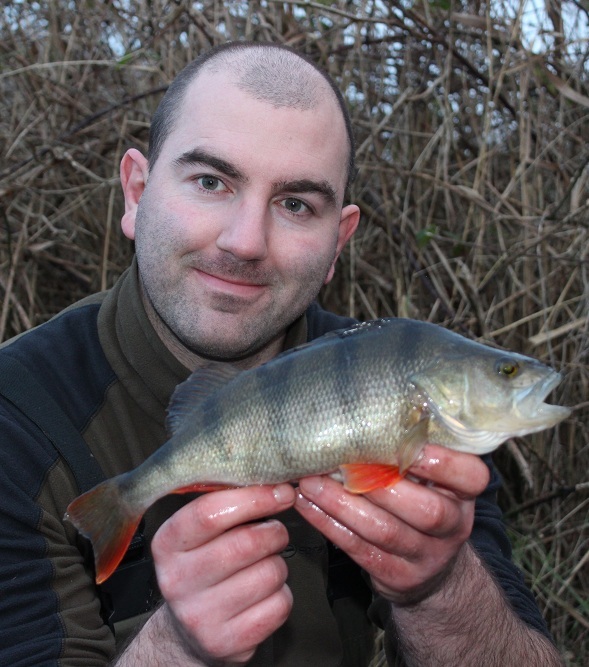 Not only are you keeping busy and in with a chance of catching some perch, it also allows you to essentially map out the swim in front of you. Bouncing the tiny lead across the bottom gives you a feel of a swims substrate in fine detail and is infinitely more unobtrusive than whacking a huge lead and marker float around the place. 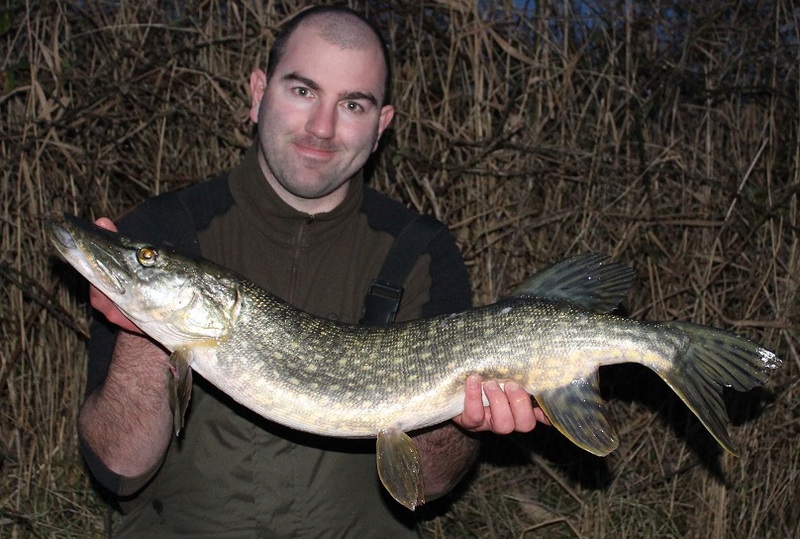 After a dozen of so casts of a little, inch long white soft plastic bait fish, an enormous pike of well over 25lb came booming after the lure and sat within a few feet of me in the margins. I couldn’t believe my eyes! I hastily tried to retrieve the dead bait and drop it on the pike’s nose but, before I had chance, the fish lunged at me!  It came fully out of the water, hit the wooden boards at the front of the swim face first then did an about turn and shot off, in a blast of spray and waves. What an opening to my first session! Despite my best efforts the fish didn’t make a repeat appearance so I stuck to the original plan and searched out a few swims. At around 1:30pm and in full, dazzling sunshine, I arrived my eighth swim of the day and flicked out another sardine to an obvious feature I’d spotted on Google Earth at home. Within a minute of the bait being in the water the float was being confidently dragged beneath the surface so I made no hesitation and struck into the fish. It was heavy and thrashed around like crazy for a minute or so before it promptly surrended and slid into the net. My first fish of the year was sulking in the net and what a start! I knew it was over 20lb as soon as I looked at it and the scales confirmed my suspicions as they settled on 21lb 1oz. What a terrific first fish of 2016! I was over the moon to get such a great result on my first session on a new water. As the afternoon wore on I made my way back to the swim that I’d had the close encounter with the really big pike. Having rested the spot for a good few hours I gambled on her returning to the scene of the crime as the light began to fade. Flicking about with the dropshot (in the hope of angering the beast) I was rewarded with a nicely marked perch and, just as the last of the light slid away, so did my pike float. 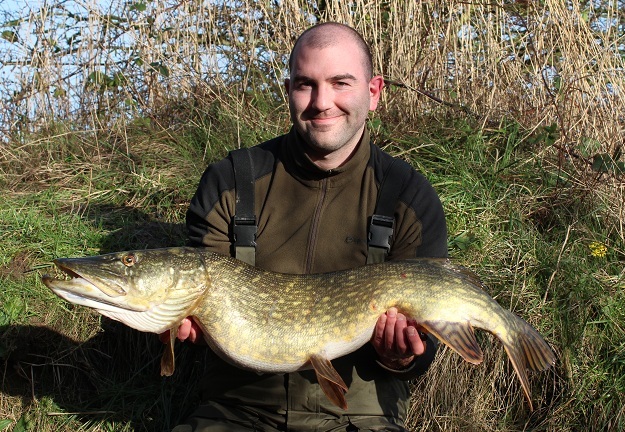 I was inevitably excited at the prospect of doing battle with another really big pike, but after a few seconds into the fight, I knew it wasn’t the fish I’d encountered earlier in the day. However, at 11lb it was a great way to round off a brilliant first session of 2016. 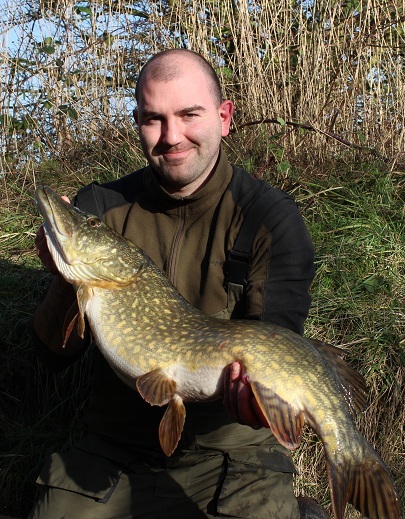 A nice double figure pike to round off a brilliant first session of 2016. 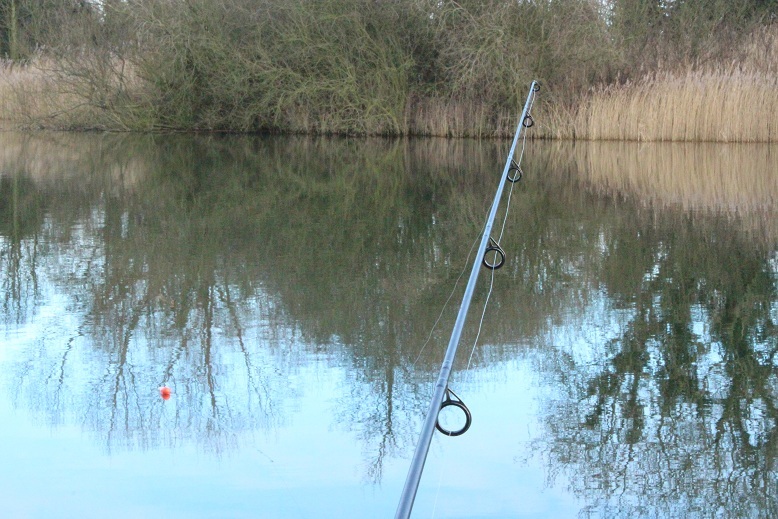 I did get chance to return to the lake in early February for another day, however a biting easterly wind made conditions tough and despite fishing in another dozen swims, I only had one small jack and two dropped runs for my effort. A small reward for braving the elements on a bleak February day! Still, at least I’m getting out more and starting to piece together the puzzle of a new water and hopefully it won’t be long until I get to meet that big pike once again!